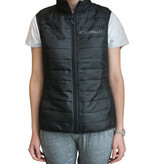 Keep your core warm this summer with one of our favorites-the Boston Ballet puffer vest. 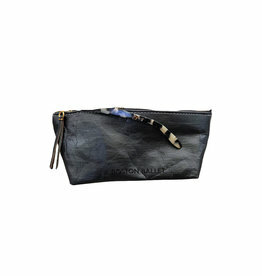 This packable layer is the perfect piece to throw in your bag on those days you need a little extra warmth in the studio. 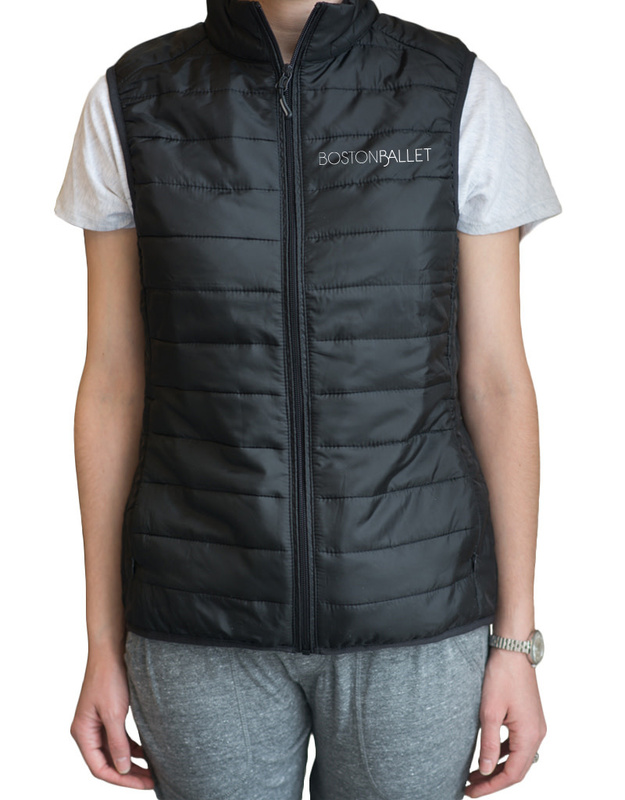 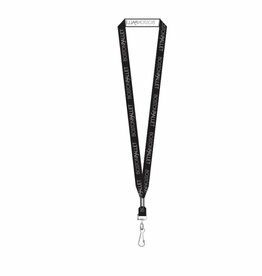 Ladies fit black vest has the Boston Ballet logo embroidered in white on the left side of the chest and is 100% polyester with a water resistant finish.